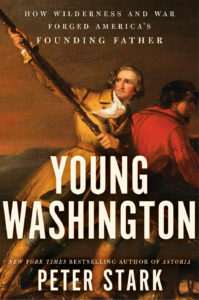 Peter Stark reads from his new book, Young Washington, about our nation's first president, Wednesday, May 30, 2018 at 7pm at Third Place Books, upper level Town Center, intersection of Bothell and Ballinger Way. With powerful narrative drive and vivid writing, bestselling author Peter Stark presents a new, brash, and unexpected view of the president we thought we knew. Two decades before he led America to independence, George Washington was a flailing young soldier serving the British Empire in the vast wilderness of the Ohio Valley. Naive and self-absorbed, the twenty-two-year-old officer accidentally ignited the French and Indian War — a conflict that opened colonists to the possibility of an American Revolution. Enduring terrifying summer storms and subzero winters imparted resilience and self-reliance, helping prepare him for what he would one day face at Valley Forge. Leading the Virginia troops into battle taught him to set aside his own relentless ambitions and stand in solidarity with those who looked to him for leadership. Negotiating military strategy with British and colonial allies honed his diplomatic skills. 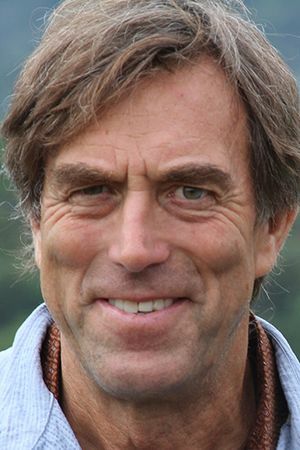 Peter Stark, author of Astoria, is an adventure and exploration writer and historian. Born in Wisconsin, he studied English and anthropology at Dartmouth College, took a master’s in journalism from the University of Wisconsin, and headed off to the remote spots of the world writing magazine articles and books.